Hamer & Co are a smokin’ hot jazz outfit with a difference. 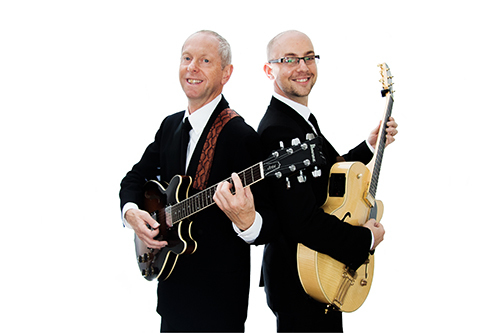 Experienced guitar-players Rich Hamer and Frank Hamer blend everything from hot and swingin’ to cool and mellow jazz. Shows frequently feature special guest players, who join the guitarists to form a truly sublime ensemble. Their latest album, Double or Nothing is available on iTunes, Spotify, Amazon, and all major online music stores.